Thank you for providing me with sunshine on each Webinar Wed. I really loved today's topic. It wasn't the run of the mill and although I took a week long forensic genealogy course, I think I learned more here ! I been searching my family for 53 years and still learned so much more from Mary Roddy! Thanks a million. If you could not make it to the live event or just want to watch it again, the 1 hour 34 minute recording of "Researching Your North Carolina Ancestors" is now available to view in our webinar library for free for a limited time. Use webinar coupon code - liveone - for 10% off an annual or monthly webinar membership, valid through Monday, December 22, 2014. Obituaries are not only a fantastic resource for beginning your genealogical research, but they can also be a great tool for enhancing what you’ve already collected. While their accuracy should always be questioned and verified (as with ANY source we encounter), obituaries can contain a large volume of information for an individual’s family. Finding obituaries, however, is not always easy. Many newspapers are being digitized and placed online, either for free or through a subscription service, but there are still many more that are only available in physical repositories in their original form or which have been captured on microfilm or microfiche. Understanding, locating and using obituaries in your research can take your family history to a new level. The Obituaries in Genealogy Legacy QuickGuide™ contains valuable information on how to interpret the data in obituaries and death notices as well as newspaper articles and other listings. This handy 6-page PDF guide can be used on your computer or mobile device for anytime access. Join us on Tuesday, January 13, at 8:00 PM Central, when Lisa Louise Cooke will teach us how to unlock mysteries in our genealogy research Using Google Earth for Genealogy. To attend this webinar, register at https://attendee.gotowebinar.com/register/2933074072977427457. Last week's webinar, HeritageQuest Online - The Ins and Outs, presented by C. Ann Staley, CG, CGL, is now available to ISGS members in the Members Section of the ISGS website (http://ilgensoc.org/members.php). And don't forget to spread the word! Forward this email onto your friends and colleagues, post the information to social media sites and/or your blog/website, or print out a few copies of our webinar flyer to hand out at your local society meetings. The flyer can be accessed at http://bit.ly/isgs2015webinarbrochure . Bagging a live one is often a bigger rush than finding the dead ones. Bagging a live one who knows something about family history is gold. In this webinar Mary will show how you can find distant relatives, perhaps ones you never knew existed. Rather than trolling surname or location lists for other researchers with a common interest, you will come away with the skills to identify specific people to look for. These people may not be active researchers, but might be the ones who inherited the family bible or box of photos, or maybe they can pass on some stories Grandma told them. Collecting and organizing the bits of data – a birthdate, a location, a maiden name – will help you connect with a “new” cousin. If you are as lucky as Mary has been, some of these new cousins will soon become old friends. Join us for the live webinar Wednesday, December 17, 2014 at 2pm Eastern U.S. Register today to reserve your virtual seat. Registration is free but space is limited to the first 1,000 people to join that day. Before joining, please visit www.java.com to ensure you have the latest version of Java which our webinar software requires. When you join, if you receive a message that the webinar is full, you know we've reached the 1,000 limit, so we invite you to view the recording which should be published to the webinar archives within an hour or two of the event's conclusion. Millennia Corporation and FamilyTreeWebinars.com are pleased to announce that registration is now open for its 2015 Legacy Family Tree Webinar Series. Choose from 58 classes from genealogy's leading educators (approximately 87 hours of free genealogy education) on topics ranging from genealogy technology to in-depth research methodologies and evidence analysis. See the complete schedule below. Evening webinars! For those who work during the day to support their genealogy habits, we have scheduled at least one evening webinar per month. Popular speaker and writer, Marian Pierre-Louis, will guest-host our evening webinars. Beginners series. Accredited Genealogist, Peggy Lauitzen, will present a three-class series designed especially for beginners. Researching with Karen! series. Submit your research problem to Karen for a chance to have personalized recommendations explained during the live webinar. Subscribers-only bonus webinars. Another new membership benefit for Annual and monthly webinar subscribers - private bonus webinars presented by Thomas MacEntee and Judy Russell. See which webinars you have registered for (another perk for webinar subscribers). Just login and the green checkmarks appear! Sign up for one or for all of them today (so you don't forget later) and you will receive a reminder email both one day and one hour prior to the live event. Click here to register for individual webinars. All live webinars are free (excluding the members-only bonus webinars), and their recordings are free to watch for the next 7 days. If you missed a previous webinar you can now have access to the entire archives (almost 200 classes) and instructors' handouts (more than 800 pages) through a monthly ($9.95/month) or annual webinar membership ($49.95/year). Click here for more information or to subscribe. Lots of brand new speakers join many of your favorites for 2015. One of them may be the one to help you break down your genealogical brick wall! Don't miss even one week! 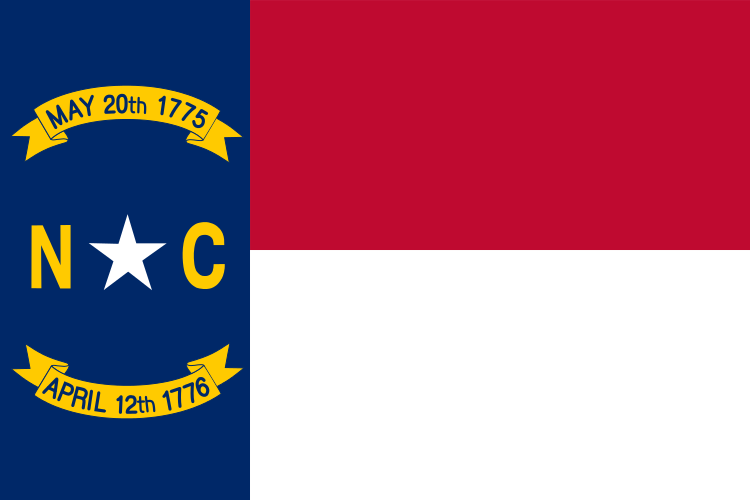 If you have North Carolina ancestors, don't miss this week's free webinar with J. Mark Lowe, "Researching Your North Carolina Ancestors". If you don't have North Carolina Ancestors - you'll want to join us anyways, 1) it's Webinar Wednesday! and 2) it's Mark Lowe! Understand the geographical and migration patterns that make NC hard to find. Learn which records will lead you to answers and how to find alternate records. Discover the records, repositories and the resources you need to find a tarheel ancestor. Join us for the live webinar Wednesday, December 10, 2014 at 2pm Eastern U.S. Register today to reserve your virtual seat. Registration is free but space is limited to the first 1,000 people to join that day. Before joining, please visit www.java.com to ensure you have the latest version of Java which our webinar software requires. When you join, if you receive a message that the webinar is full, you know we've reached the 1,000 limit, so we invite you to view the recording which should be published to the webinar archives within an hour or two of the event's conclusion. Mark has published in the Association of Professional Genealogists Quarterly (APGQ),National Genealogical Society Quarterly (NGSQ), the Genealogical Speakers’ GuildSPEAK!, The Longhunter (So. Ky. Genealogical Society), The Middle Tennessee Genealogical Society Quarterly and other local society publications. His own publications include Robertson County Tennessee Marriage Book 2 1859-1873. He formerly was the President of the Association of Professional Genealogists (APG), President for the Federation of Genealogical Societies (FGS), and Vice President of the Genealogical Speakers Guild (GSG). He is the former President of the Southern Kentucky Genealogical Society. Mark is a Certified Genealogist and a Fellow of the Utah Genealogical Society, and was awarded the Graham T. Smallwood award by the Association of Professional Genealogists. Click here to view Mark's webinars in the archives. Webinar Description: If you do not currently have a website for your business, this webinar is for you. Presenter Carla Cegielski will walk you step by step through the process of creating an effective business website. Topics covered include content, domain registration, choosing a platform and web host, user experience, and evaluating your web presence. About the Presenter: Carla S. Cegielski is a freelance web designer, researcher, and lecturer. She is currently the webmaster for the Association of Professional Genealogists, the Ohio Genealogical Society, and many others. She has been designing and maintaining websites since 1997. Great ideas for "kids" of all ages. Several relatively easy ideas to share limited information and stories with family members. Best way to get them interested without overwhelming them. Excellent with some new thoughts for interesting the grandchildren in genealogy. If you could not make it to the live event or just want to watch it again, the 1 hour 26 minute recording of "Family History for Kids" is now available to view in our webinar archives. Use webinar coupon code - kids14 - for 10% off an annual or month webinar membership, valid through Monday, December 8, 2014.